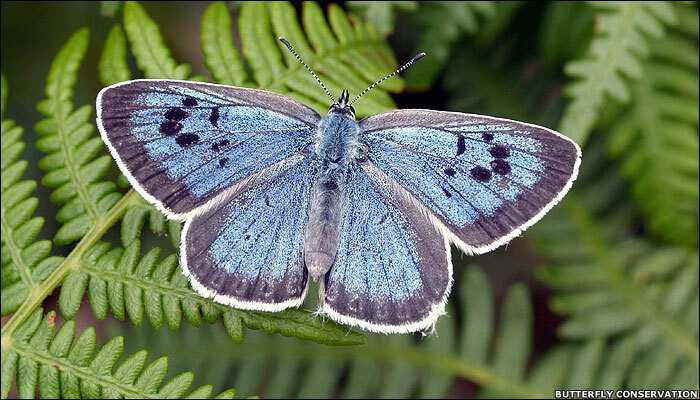 How Long Do Blue Butterflies Live? What Do Big Blue Butterflies Have to Do with Red Ants? Do Evolutionists Have an Answer? Yes, that’s really the name for this beautiful butterfly. If that isn’t fancy enough, try the scientific name, Maculinea arion. 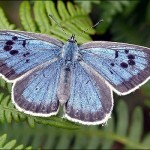 Large Blue butterflies are native to Europe and some parts of Asia. The caterpillar is about ½ inch long and can live 9 months before forming a chrysalis. The butterfly has a wingspan of up to 2 inches but only lives for a few weeks. This appears on the surface to be very one-sided, to be parasitic, not symbiotic. But note these details: when the ant finds the caterpillar, the ant strokes it with its antenna. The caterpillar gives off a sweet milk from its tenth segment which the ant drinks for an hour. Then the caterpillar hunches up and the ant carries it to its nest. There the ants continue to enjoy the milk while the caterpillar munches on the ant larvae. Evolution has no explanation for how two very different creatures became dependent on each other in this fashion. Design, however, agrees with the Bible, that they were so made from the beginning.